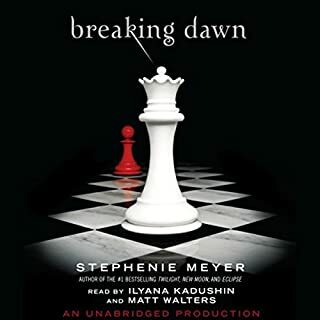 Although I really enjoyed the first three books of Mrs. Meyer her "Breaking Dawn" is not the best ending for the love story of Edward and Bella. Many of their thoughts are too extreme, too out of context , especially in the first part of the book. I liked the book and the audio rendering but I think it was a bit too much. Nonetheless a very enjoyable audio to accompany you through the day and let you dream away. This was truly the first audio book that I simply couldn't take out of my ears/head. 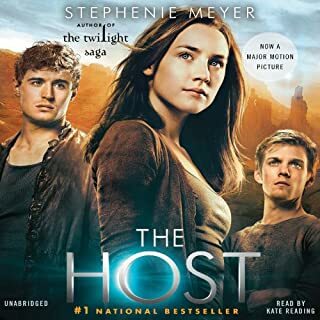 Although it goes along a relatively simple story line the emotions are so well depicted and so well interpreted by the reader that you simply can not put your audio device down. I will sure be listening to it once again. It was simple and beautiful, sci-fi and love story, epic journey and family affair all in one. I would recommend this to anyone who wants to feel.